Tej West has been in the healing/helping profession for over 13 years. 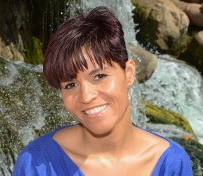 She began her career as a massage therapist and was first introduced (attuned) to energy healing (Reiki) during her undergrad program two decades ago and continued on this path as a massage therapist. Tej has been attuned as Reiki Master, but does not follow the structure in sessions, as she believes that energy is everywhere and also innate within each being. She allows herself to be intuitively guided. Tej has found that through her own healing as well as assisting others, that energy healing has had profound benefits. Through working with thousands of clients as a massage therapist, she has honed her energy therapy skills by learning the language of the body and body memory. Tej continued her learning pursuits by receiving her Master’s degree in Counseling Psychology from Prescott College. At Prescott, Tej studied various forms and theories of healing from indigenous, to development of brain through relationships, parent-child dynamics, mind-body connection and healing. She then worked as a family therapist at The Meadows, a private inpatient treatment facility working with adults struggling with trauma and addiction. While working at the Meadows, Tej had the fortunate opportunity to learn from Bessel Van der Kolk, Peter Levine, Pia Mellody and Dr. Jon Caldwell. She went on to study Somatic Experiencing® (Intermediate level 1) developed by Peter Levine, and studied with Stan Tatkin, Psy. D, developer of Psychobiological Approach to Couples Therapy®. Tej is a Personal Life Coach, licensed professional counselor, and Master Energy Therapist. Her passion is helping others accomplish their personal goals and teaching about stress and the mind-body-spirit connection.